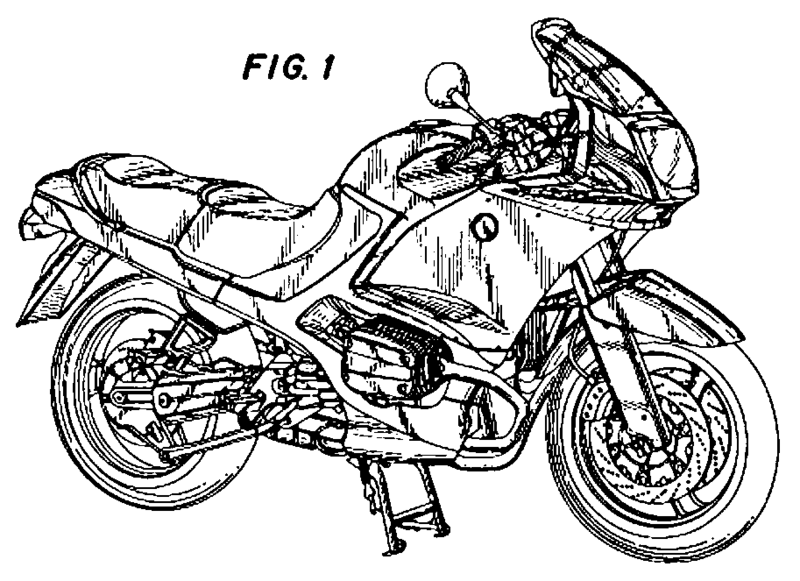 The USPTO has granted the first-ever US design patent from an international design (Hague) application. The international design application was filed pro se on May 13, 2015 by a German company called Schwan-Stabilo Cosmetics GmbH & Co. KG. The application was filed directly at the International Bureau and it designated Korea and the US. It did not claim priority from any earlier application. The IB published the application on June 5, 2015 and the USPTO received the application from the IB on that day. The USPTO gave application number 35/500,001 to the application. The USPTO mailed a Filing Receipt on July 7, 2015. The case got assigned to an Examiner on October 6, 2015 and the Examiner allowed the case eleven days later. The USPTO sent the Notice of Allowance to the IB on October 20, 2015. The applicant paid the Issue Fee directly to the IB. The OB sent the Issue Fee to the USPTO on November 30, 2015. USPTO issued the patent on April 26, 2016 as US Patent Number Des. 754922. You can see it here. No Assignment has been recorded for this application. No IDS got filed in this application. The application was never touched by US patent counsel. I guess I should not be surprised that the USPTO is not the only US government agency with long backlogs. Someone I know recently applied for Global Entry — the very handy program that speeds up immigrations entry into the US and gets you into TSA’s Precheck security screening. He then received the “conditional approval” and an invitation letter to attend an interview at a Global Entry interview office. That’s great! All he has to do now is make an appointment at one of the interview offices, and show up for the appointment, and he will be a member of Global Entry. Except that interviews are not easy to get. At San Francisco airport, the earliest available appointment is October 23. Five months from now. At Portland (Oregon) airport, the earliest available appointment is September 26. Four months from now. At Denver airport, there is simply no appointment available no matter how long you are willing to wait. This is quite a surprise to me. It seems to me that the Global Entry folks need to staff up the interview offices appropriately so that there are enough people to do the interviews without delays of four and five months (or forever in the case of Denver). Yours truly will speak at the Spring CLE program of the Tennessee Intellectual Property Law Association, on Friday, May 6 in Nashville, Tennessee. You can see the brochure here. I will lecture on best practices for use of the Patent Cooperation Treaty. I look forward to seeing lots of Tennessee patent practitioners at this program. When the Financial Manager (“FM”) system launched two weeks ago, it was connected with one e-commerce system, namely the system for paying patent maintenance fees. I blogged about the new maintenance fee payment system here. Today the USPTO connected its new FM system to TEAS, the e-filing system for trademark application. I blogged about this new connection here. This means that trademark filers no longer have to key in an entire credit card number when paying a fee. 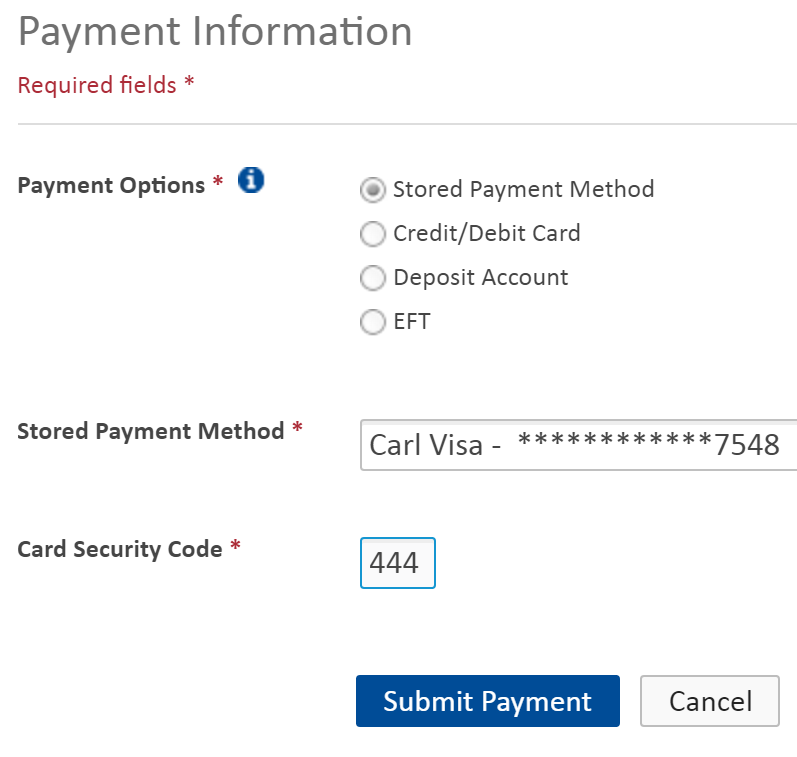 The filer can simply select the card from a drop-down list of stored payment mechanisms. Today the USPTO also connected its new FM system to the online ordering system of the Office of Public Records. This ordering system, with the catchy name “OEMS”, now likewise permits you to select a payment mechanism from a stored list. This saves you having to key in detailed credit card information when placing such orders. I have heard that in about a week, USPTO plans to connect FM to the EFS-Web system. It’s clear from these developments that we all need to get familiar with FM. Presumably you configured your FM user accounts two weeks ago. But if you have not done so yet, you can visit the Financial Manager setup page to set things up. Have you used FM? Please post a comment below to let readers know how it went for you. In the old days (more than two weeks ago), when you were paying some maintenance fees, you had to treat each individual maintenance fee as a separate task. For each maintenance fee, you had to hand-key six categories of information — the credit card number, the expiration date, the CCV code, the cardholder name, the billing address, and the billing Zip code. For a filer who was paying more than one maintenance fee, this was tedious. But two weeks ago, things got easier. If, like me, you sometimes use a credit card to pay fees when filing a US trademark application, then you are accustomed to having to key in a sixteen-digit credit card number to pay the filing fee. Indeed you are accustomed to having to key in six categories of information — the credit card number, the expiration date, the CCV code, the cardholder name, the billing address, and the billing Zip code. But as of today, you can skip all of that. You can use USPTO’s new Financial Manager (FM) system to store payment methods. When you do this (see screen shot at right), you can choose “stored payment method”. Then you select a stored payment method from a drop-down list. In this case I selected a Visa card. Then you key in the card security code and click “submit”. This saves you having to key in five of the six categories of information mentioned above. If you have not stored any payment methods in FM, then you can still proceed in the old-fashioned way, choosing “credit/debit card” and hand-keying the six categories of information. In an office having high rates of employee turnover, this system will permit an employee to pay a trademark fee without the need to provide the actual credit card number or expiration date to the employee. The FM system has been available for two weeks now. Presumably you configured your FM user accounts two weeks ago. But if you have not done so yet, you can visit the Financial Manager setup page to set things up. Have you successfully paid a trademark fee using this new “stored payment” method? If so, please post a comment below and let me know how it went. The 2015 US Design Patent Tote Board has a firm at tenth place, namely QuickPate nts, founded by patent agent Kevin Prince. Just today I learned that he has written a nice book about patent drawings. The book does not promote Kevin or his firm, but simply celebrates the delightful world of patent drawings. The book, which I recommend, would look nice on anybody’s coffee table.